Hot chocolate festival returns for another year, and I am so excited to try all of the new creations that pastry chefs have concocted for 2017. I decided to start with Chez Christophe and their Tropical Storm as I was intrigued by the pictures in my Instagram feed. 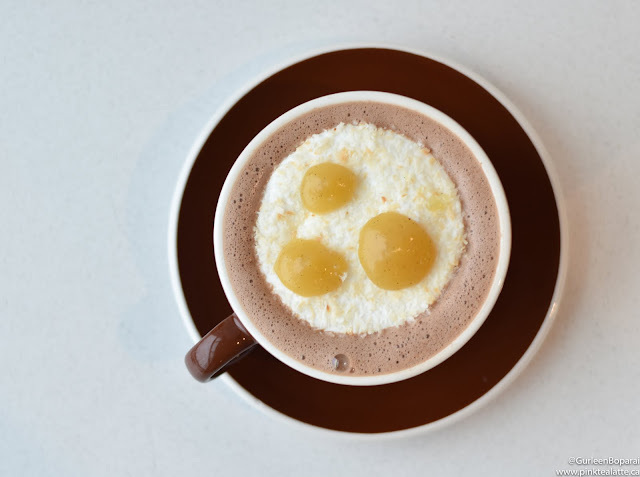 A deep rich dark chocolate cocoa is given a cheeky presentation to resemble three egg yolks. However, do not fret, the "egg yolks" are actually dollops of spiced pineapple gel on a coconut marshmallow. As the coconut marshmallow melted, it made for some creamy sips with notes of fruity tang from the pineapple gel. I would definitely make the 30 minute drive again to have another cup of this delicious hot chocolate from Chez Christophe! 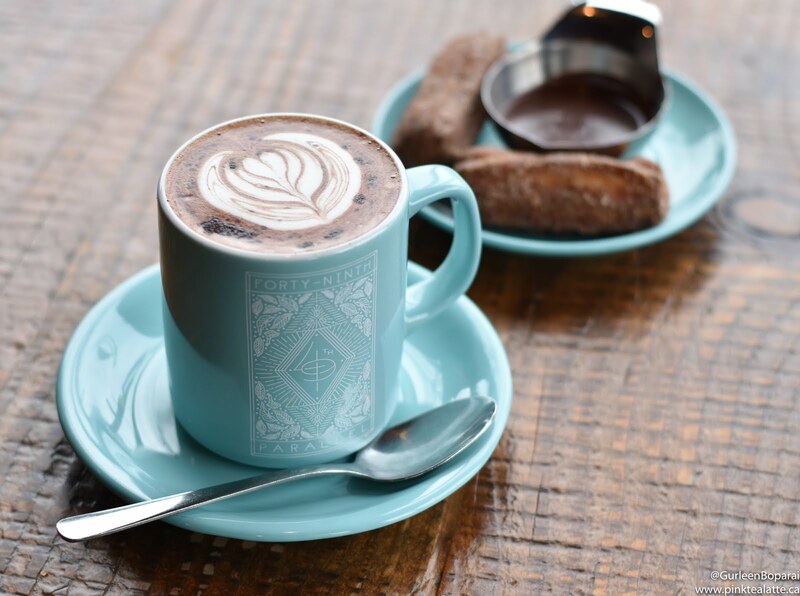 I visited 49th Parallel next in search of their "2001 A Space Odyssey," a rich Aztec-spiced hot chocolate. I appreciated 49th Parallel not holding back and really delivered on the bold spice flavour. The hot chocolate was accompanied by two cinnamon sugar churros with a creamy dark chocolate dipping sauce. The churros had great flavour and were very moist; however, my only complaint would be that they were served cold. With a warm hot chocolate, a warm churro would have gone much better. 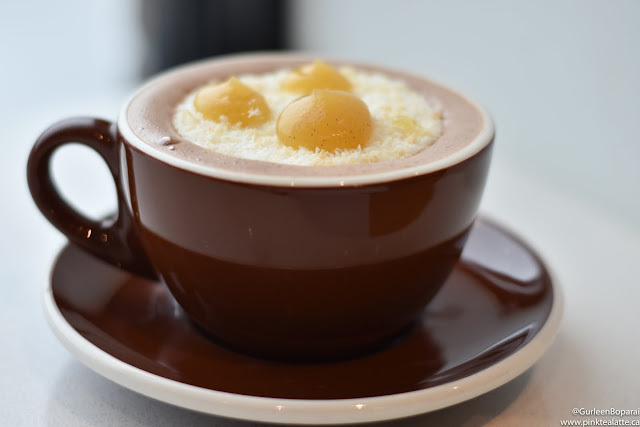 I most likely will be returning 49th Parallel to try their second hot chocolate flavour, a white chocolate coconut served with a milk chocolate coconut rough. Let me know in the comments below which hot chocolate flavour from this years' festival is your favourite!